This language barrier poses challenges in all aspects of life for LEPs, and especially when they visit a physician. 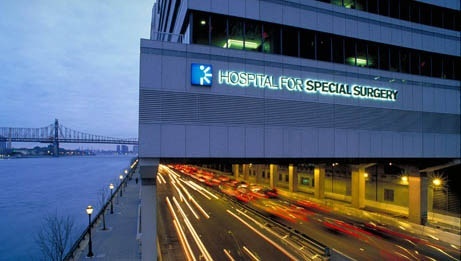 One Cantonese patient at the Hospital for Special Surgery in New York has been faced with this obstacle again and again as he has dealt with a leg deformity that has required multiple operations to correct. His surgeon told CBS2 New York that communication issues with LEPs are common. He said these patients often nod or say yes to appease the doctor or have a family member attempt to interpret. On a recent visit, which was filmed by CBS2 New York, patient and surgeon lifted this communication barrier with the help of a LanguageLine 1Solution dual-handset phone. This phone allows doctors and patients one-touch access to a live interpreter in more than 240 languages. This resource is invaluable in health care, when speed and accuracy are at a premium. In a city like New York, where more than 190 languages are spoken at home, one-touch access to interpreters opens the door to all sorts of possibilities when it comes to linking LEPs to not just health care, but human services and businesses, as well. In the video, the surgeon asks his patient about his pain level and overall recovery. The interpreter relays the question to the patient in Cantonese, and he answers in his native language. 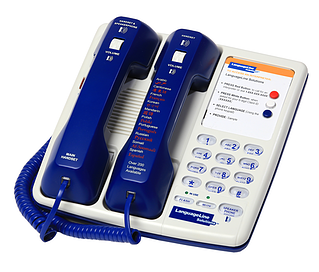 The patient was asked what he thought of the dual-handset technology, and he responded that it made it a lot easier to understand his treatment, as well as to tell the doctor how he was doing.